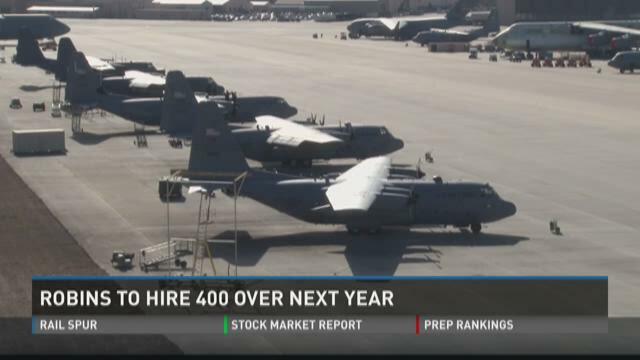 Col. Jeff King, Commander for the 78th Air Base Wing at Robins Air Force Base, says about 400 jobs will be created or filled in the next year. During a conference with reporters Tuesday morning, King said the Warner Robins Air Logistics Complex plans to hire about 200 people to meet requirements for existing workload in the depot. He said most of those jobs will be for mechanics. C-130 Hercules airplanes fly people and supplies all around the world supporting the military. When they come home, workers at Robins Air Force Base repair each part including the four propellers onboard. 13WMAZ went Behind the Lines and into the vital mission of the prop shop. About 100 people grind metal in Robins prop shop, but it's the only place in the entire Department of Defense this work happens. "It's loud. It's very loud," Tracey Owens, a mechanic, said. Owens and the other prop mechanics pump out about 30 props each month. "We are an overhaul facility," Kyle Barrett, another prop mechanic, said. "We take it down to the bare metal." "The props come in dirty and damaged," Barrett said. "These have probably been in Afghanistan, you know, the elements out there. Nothing but sandstorms." The children of Gen. Augustine Warner Robins will be in town Monday to see the base and community named after their grandfather. Gen. Charles E. Thomas urged local town leaders to rename the town after his former aide, who had worked for him between 1921 and 1927. Thomas renamed the depot Warner Robins Army Air Depot and the base runway Robins Field. Local leaders immediately changed the name to Robins Air Force Base. 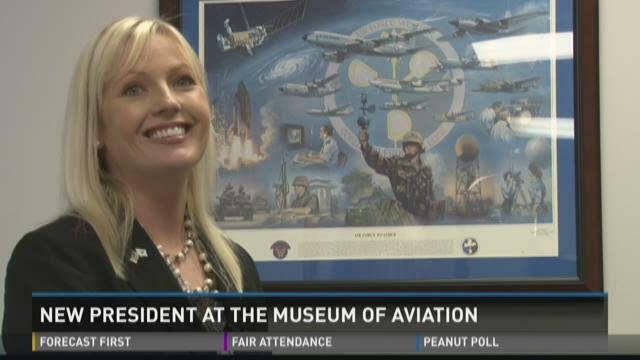 The Museum of Aviation in Warner Robins will soon have a new leader. President and Chief Operating Officer Patrick Bartness says he's retiring at the end of the year and Chrissy Miner is replacing him. Robins Air Force Base officials are investigating an unauthorized visitor to the base Friday morning. Base spokesman Roland Leach says a car entered one of the base gates without going through the proper ID checks. He said the car entered Robins the wrong way in an unauthorized manner, but he declined to give further details. Leach said the base was not locked down. Late Friday afternoon, he said people were able to come and go on base as normal. The Museum of Aviation is famous for flight, but what about driving? Wednesday morning, the museum welcomed in two veteran vehicles to their collection. 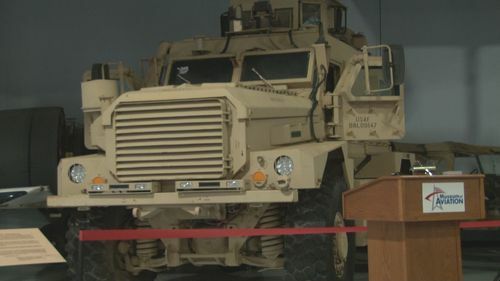 The Cougar MRAP is designed to protect its occupants from explosions. The one in the museum was used by Air Force personnel and was hit by an IED in January 2014. Senator Johnny Isakson and Representative for the 8th District Austin Scott say don't expect BRAC, or a round of Base Realignment and Closure, before 2017. The pair along with Representatives Sanford Bishop and Tom Graves answered questions after a tour of Robins Air Force Base Thursday. The delegation is touring four Georgia military bases Thursday and Friday. "2017 would probably be the earliest with a new president and new Congress," Sen. Isakson said. "Nothing will happen before then, and I doubt it will happen that fast." Scott, who represents Robins, said, "I can tell you, four years ago, I would have been extremely concerned for Robins in the event of a BRAC. Now, because of the production here and the way things have turned in the right direction, I feel very good if we went into a BRAC, that we are going to come out just fine at Robins Air Force Base."